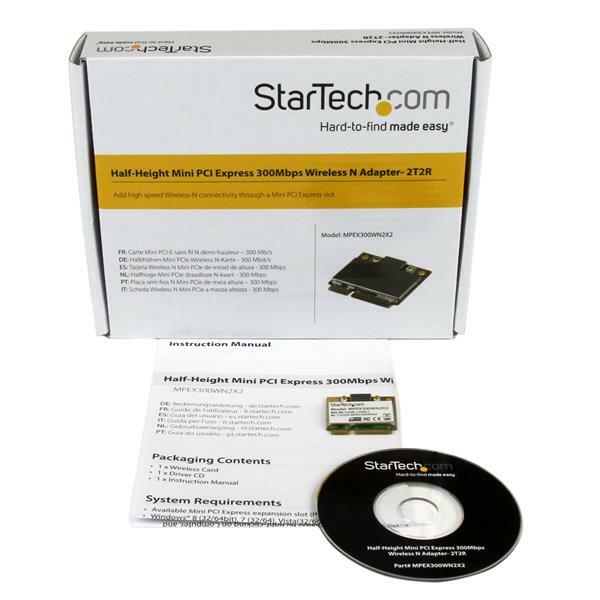 The MPEX300WN2X2 Mini PCI Express Wireless N Card lets you add high-speed 802.11n network connectivity to your laptop or small form factor system, with support for data transfer rates up to 300Mbps. For efficient wireless communication, the card uses a 2T2R (2 Transmitter, 2 Receiver) Multiple Input/Multiple Output design over the 2.4GHz frequency. MIMO antenna configurations employ multiple signal paths for greater bandwidth, fewer lost packets and greater reception, even under conditions of interference. The 300Mbps wireless N adapter offers the necessary speeds for demanding network applications such as streaming video, VoIP and network backups, while also offering backward compatibility with 802.11b/g networks (11/54Mbps) to connect to older WiFi routers as needed. 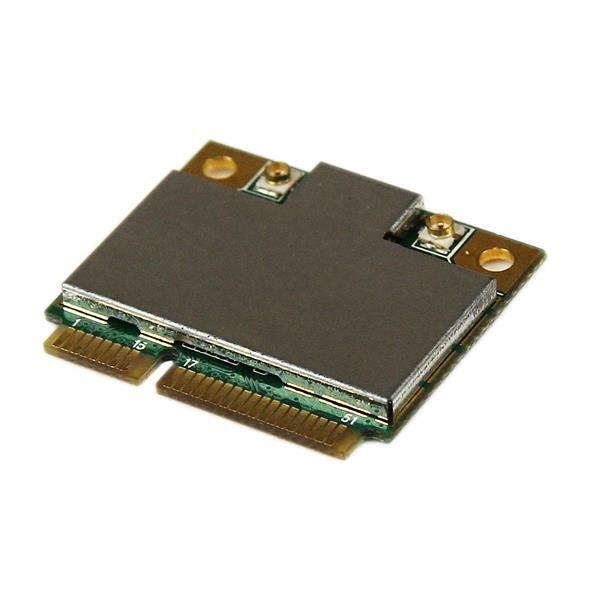 Using a half-height mini PCI express (Half Mini Card) form factor, this adapter is designed for use in the latest notebooks, small form factor computers (e.g. Mini-ITX), or custom embedded solutions where standard PCIe cards would not fit.